Have a bunch of kale but don’t know what to do with it? 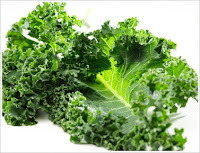 Or maybe you have been wanting to try kale but are weary of the green leafy vegetable? Here is an absolutely scrumptious way to get you and your family to not only eat kale but LOVE it! And it only takes minutes to prepare! Lay kale leaves on a cookie sheet. Drizzle a generous amount of oil over the kale. Add a generous amount of salt. Toss so kale is evenly coated. Cook for 5-7 minutes. Pull out of oven and flip the kale (so it is evenly cooked throughout). Cook for another 5-7 minutes until crispy. Keep a close eye on it- easy to burn!